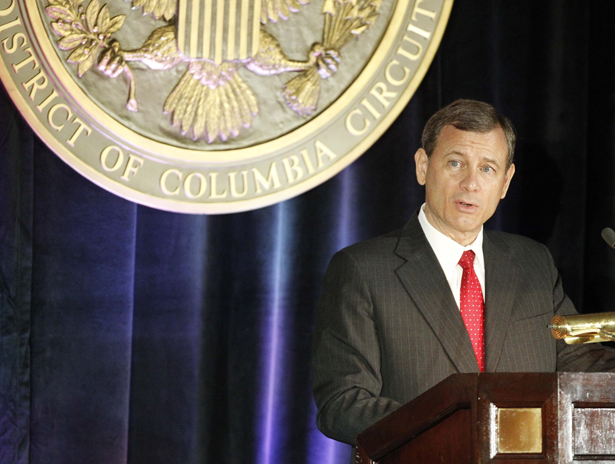 Can Congress Fix What John Roberts Wrecked? Some members of Congress want not only to fix what the Supreme Court did, but expand the Voting Rights Act further. The bad news about Tuesday’s Supreme Court ruling in Shelby County v. Holder is, of course, that the majority declared Section 4 of the Voting Rights Act unconstitutional. That’s the part of the law that determines which localities are covered under Section 5, which requires areas with problematic voter discrimination to pre-clear any changes to voting laws with the Justice Department. The Beltway wisdom is that this will never happen—the Congress is hopelessly dysfunctional, and specifically, obstructionist Republicans are happy with the Supreme Court’s decision and completely unwilling to allow new formulas for Section 4. “As long as Republicans have a majority in the House and Democrats don’t have sixty votes in the Senate, there will be no preclearance,” Senator Charles Schumer declared bluntly Tuesday. But everything is impossible until it isn’t. Suppose for a second Congress is able to act on Roberts’s request to update the coverage formulas—how would it do so? One step would be to have the Senate Judiciary Committee pass out such legislation. The chairman of that committee, Senator Patrick Leahy, has already promised to do that: “I intend to take immediate action to ensure that we will have a strong and reconstituted Voting Rights Act that protects against racial discrimination in voting,” he said in a statement Tuesday. So far, so good. The House, of course, is a tougher road: the majority is held by Republicans, and the Republican chair of the House Judiciary Committee, Representative Bob Goodlatte, does not appear to be particularly interested in this issue—unlike his Republican predecessor, who happened to be a strong defender of the Voting Rights Act. But some House Democrats are determined to try—and in fact, to make the Voting Right Act even tougher than it was before. At a press briefing on Capitol Hill Tuesday afternoon, Representative James Clyburn—the third-ranking Democrat in the House—said that the Court’s decision was an opportunity to expand Section 4 beyond the mainly Southern application that existed until Tuesday. There are caveats to this approach: for one, the majority opinion in Shelby suggested that new formulas still might not pass constitutional muster unless they prove Jim Crow–era levels of discrimination, which the justices don’t think applies to voter identification bills. “No one can fairly say that” current data “shows anything approaching the ‘pervasive,’ ‘flagrant,’ ‘widespread,’ and ‘rampant’ discrimination that faced Congress in 1965,” it read. But most Democrats in Congress disagree—and remember this was a 5-4 vote, and the Supreme Court could look different by the time any new Congressional Section 4 formulas reach it. The larger problem of course is Schumer’s point: Republicans in Congress won’t allow Clyburn’s approach to become law. But on a day where President Obama opened the door to denying the Keystone XL pipeline, it is important to remember that public pressure shouldn’t be underrated—especially, in this case, when targeted at a Republican Party that is already admittedly worried about its appearance as racially intolerant. This was the tone struck by several members of the Congressional Black Caucus on Tuesday, some of whom marched for civil rights fifty years ago and aren’t afraid of doing it again. Representative Marcia Fudge, chair of the CBC—and who also said she wants Section 4 formulas expanded—agreed. “If they want us to march again, then we are up to the task,” she said. Ari Berman explains what was lost when the Supreme Court gutted the Voting Rights Act.